SEATTLE, Wash. — An appeals court has overturned a lower court ruling in regard to the redaction of certain information from documents from the University of Washington that were requested by pro-life activist David Daleiden surrounding the institution’s transferral and use of the body parts of aborted babies. Daleiden, who operates the Center for Medical Progress and is most known for his undercover investigation into the practices of the abortion giant Planned Parenthood, had sent a Freedom of Information Act request last year to the university in an effort to obtain documents surrounding its business dealings with abortion facilities. Following the request, complainants including eight individuals with the University of Washington, three employees with area hospitals, a Planned Parenthood worker and a former Planned Parenthood worker filed suit against both the university and Daleiden in an effort to have their personal identifying information redacted. However, not only did the plaintiffs seek an injunction for themselves, but also on behalf of a class of a potential 600 people. “Mr. 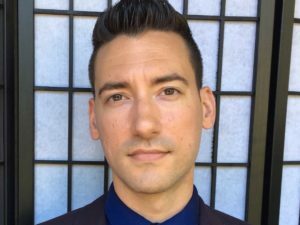 Daleiden’s broad-ranging investigation into the trafficking of aborted fetal remains led him to look into the University of Washington’s fetal tissue research and acquisition practices,” Special Counsel Peter Breen with the Thomas More Society outlined in a statement on Wednesday. In November, U.S. District Judge James Robart sided with the plaintiffs, ordering the university to redact all identifying information of persons involved, including their names, email addresses, phone numbers and job titles. “Even if the research in which [the workers] participate or to which they contribute does not fall within the ambit of First Amendment protection, the groups with which [they] have participated or associated do engage in advocacy for the health and reproductive rights of women,” he wrote. Daleiden appealed the ruling, stating that disclosure will not infringe on the entities’ constitutional rights. On Monday, a three-judge panel with the Ninth Circuit Court of Appeals unanimously overturned Robart’s ruling, stating that the complainants have not proven at as many as 600 people could be harmed as a result of the release of the documents. “The district court relied on a blanket finding that the entire putative class was engaged in protected First Amendment activity—a class that the University says could be as large as 600 people, although notices were sent to only 156 people according to the record,” the short, four-page ruling read. The court also opined that it had not been proven that those represented in the suit were engaged in protected activities. “Although we agree with the district court that there may be a basis for redaction where disclosure would likely result in threats, harassment, and violence, the court’s order did not address how the Doe Plaintiffs have made the necessary clear showing with specificity as to the different individuals or groups of individuals who could be identified in the public records,” it stated. The panel remanded the case back to the district court to further consider how the release of any identifying information would violate the class’ First Amendment rights. While it left the temporary injunction in place pending Robart’s review, Daleiden’s attorneys cheered the outcome. “The court of appeals, by reversing this decision and remanding this case back to [the] district court, has prevented a serious threat to the public’s right to know how their tax dollars are being spent,” Breen said.